Chanana and his team at Media Factory Inc. are honored that Afreen has caught the attention of people around the world and aim to share its message with many, many more audiences to inspire honest communication and mutual respect among all. 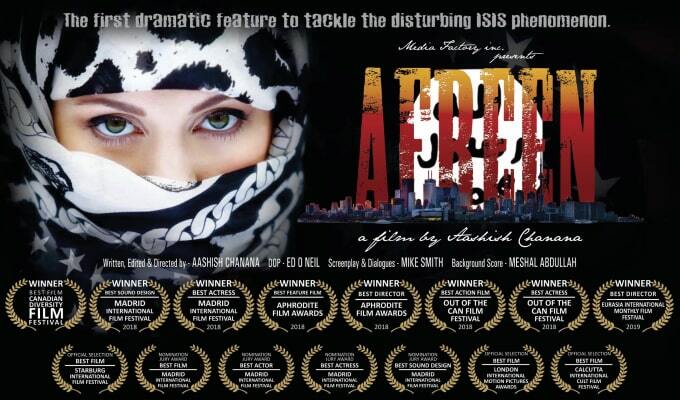 The official Afreen trailer can be seen now on YouTube. Further details can be found at http://www.mediafactoryintl.com/AFREEN. Media Factory Inc. is a major global production studio with locations in Mumbai, Hollywood, and Vancouver. The pioneering company specializes in areas including CGI, live-action visual effects, animation, and more. Media Factory Inc. recently unveiled Let’s Make a Movie (LMAM), a social media network for film enthusiasts. Through the new platform, Media Factory Inc. aims to help new filmmakers secure the financing needed to create short films.